Almost every gardening resource today has something to share about pollinators. We have all heard about the plight of the pollinators and about what gardeners can do to help increase their numbers. My mantra is JUST PLANT SOMETHING! Something, that is, for pollinators. 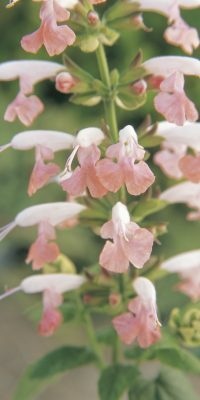 All-America Selections is the perfect resource for pollinator-friendly plants. Keep in mind that pollinators are animals and include insects, birds, and mammals. We tend to focus on plants for insects when thinking about a pollinator garden but keep these others in mind. Pollinators are necessary not only for fertilizing a flower, thus producing fruits and nuts, but are also needed to ensure species survival. Pollinators, in general, are attracted to flower color, fragrance (or odor!) and shape. They also prefer flowers with lots of pollen and nectar. For instance, butterflies and moths are attracted to flowers that are corymbs (flat-topped) and hummingbirds are attracted to those that are tubular in nature. Several vegetables require pollinators in order to produce fruit. Squashes, cucumbers, pumpkins, eggplant, okra, watermelons, and muskmelons must be pollinated by insects transferring pollen. Incomplete pollination of vegetables may result in misshaped or undersized fruits. Planting flowers near or in the vegetable garden is one way to assist the pollinators in your vegetables. 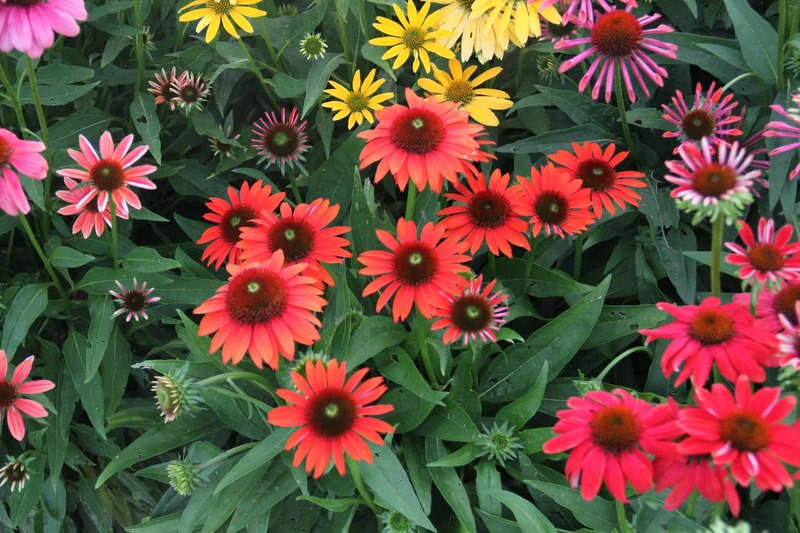 All-America Selections flower winners are outstanding to add to or plant near the vegetable garden to encourage pollinators. 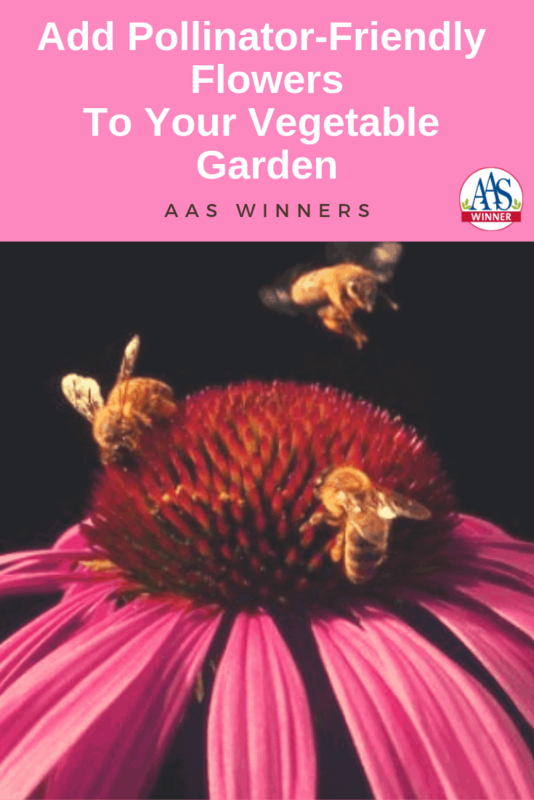 Following are some of the AAS Winners you can plant to attract insect and hummingbird pollinators to your vegetable garden. The first three are a few of my all-time favorites. 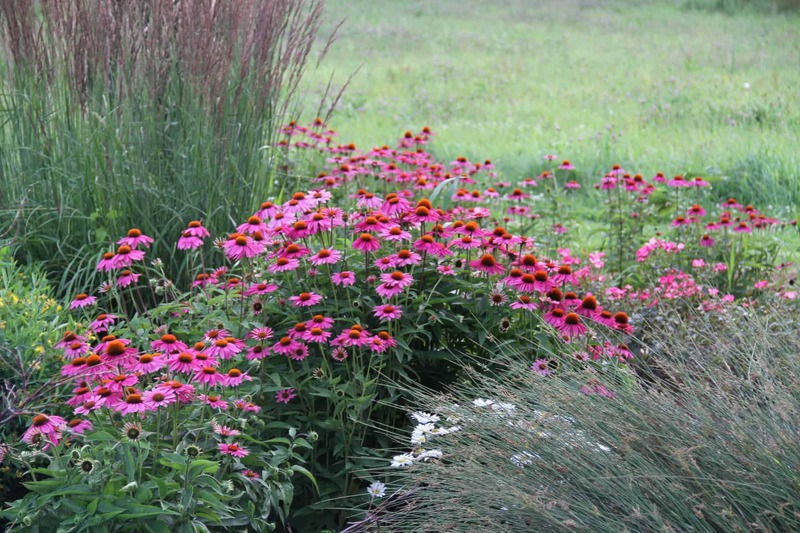 The others listed have proven themselves in my research plots and are outstanding for attracting pollinators. Echinacea Pow-Wow Wildberry and Cheyenne Spirit are two of my very favorite coneflowers. Pow-Wow Wildberry has purplish flower appears in June and lasts for about two weeks. Cheyenne Spirit is a great mix of colors that include golden yellow, purplish-pink, creamy white, scarlet-orange, and more. Both grow around 2’ tall and I have them planted in my perennial garden that is about 4’ away from my vegetable garden. 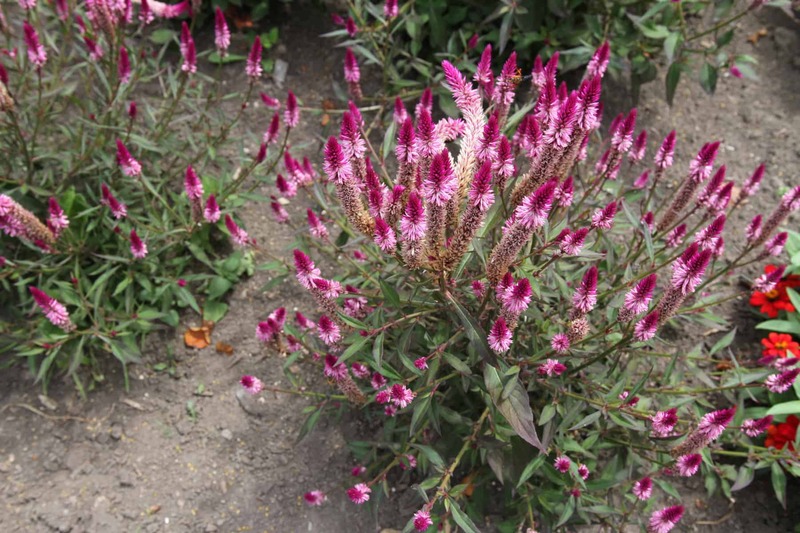 Celosia Asian Garden is a plant that “is alive” when pollinators visit. 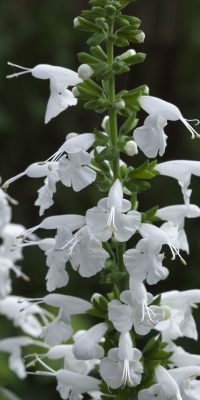 The height (around 3’) and the growth habit gives you a plant that is very informal and gently moves with the breeze. Add in the number of pollinators and this plant comes to life in the summer months. The flowers are a dark pinkish-purple that fade to light pink. This powerhouse blooms all summer long without any deadheading (removing dead flowers). 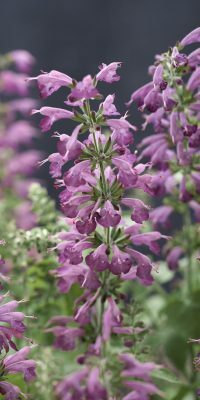 Salvia Summer Jewel Lavender, Pink, Red, and White are must-haves in my garden. Some years they reseed and come back, but if they don’t, I make sure to plant new. I like to inter-mix them in my vegetable garden and like I said, if they reseed, they get to stay wherever they are, even in the middle of the zucchini bed. These are pollinator magnets! 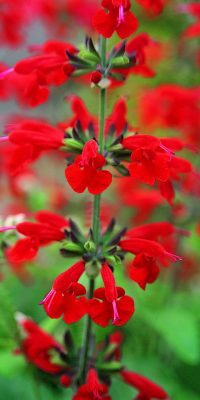 They are great plants for a Victorian or cottage garden and grow to between 15-20” tall. They bloom all summer long.